Next steps for the committee and subcommittee will be to participate in a two-day training course for collective bargaining. This will take place in early January, 2017 and bargaining will commence once this training is completed. In the meantime, the committee will be working to understand the needs of members. To find out the issues that matter most to you and what needs to be brought to the table during bargaining, the committee is asking all members to complete a survey to provide feedback. All information provided through the survey is confidential, as members’ names are not identified through survey responses. This survey will be distributed through email and members can expect to receive it within by November 12. If you aren’t receiving CUPE 1063 emails, but would like to stay informed about the bargaining process, be sure to provide your email address to be added to our distribution list. To do so, please email Carl Kernested at: carlk1969@gmail.com. Successful bargaining for members means showing member solidarity for our bargaining committee and showing management a united front. As a member, you can demonstrate solidarity for the bargaining committee by helping hand out notices, discussing bargaining with your colleagues, completing the survey to tell us the priorities you’d like to see addressed during bargaining and staying engaged in the process by asking questions and staying informed. Be sure to visit this website often to stay up-to-date and to learn more about the 2017 bargaining process. 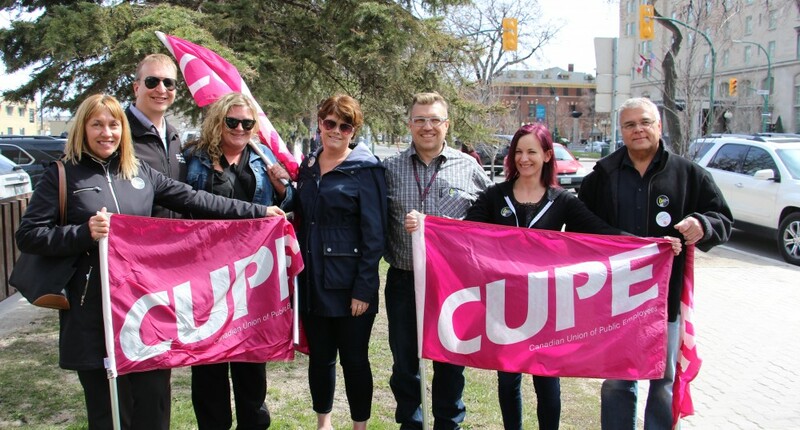 CUPE 1063 will be providing regular updates about its work to ensure members’ needs are being heard and met. This entry was posted in Bargaining Briefs by cupe1063. Bookmark the permalink.